MediaWorks PLUS software offers extreme flexibility. You can access and use the MediaWorks+ software from any of the following modern devices (using Chrome, Safari, Firefox, or IE9/10 browsers and with secure network access to the NexLog recorder). 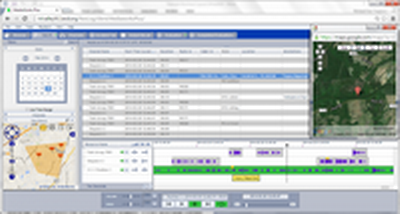 MediaWorks PLUS software’s graphical timeline helps you quickly visualize the relationships between multiple recordings that span multiple channels. To help navigate within the graphical timeline, MediaWorks+ software includes convenient scroll and zoom controls. Selected calls can be copied to a separate incident tab that has its own graphical timeline, or may be directly exported for use as evidence.